Literally can't fault this lid. 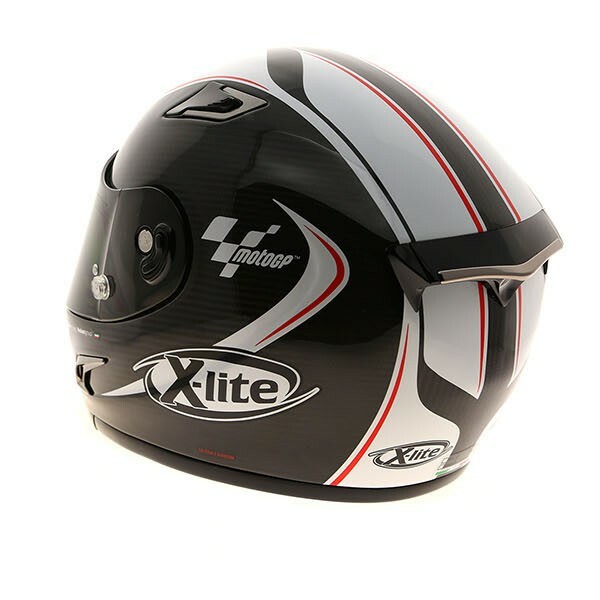 After looking at a lot of other helmets this comes up trumps by a long way for the price! Easy visor mechanism. All vents are easily used with gloves on. Fits really well. Rear adjustable spoiler. High quality interior. 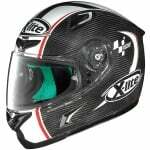 The X-802RR is the racing carbon fibre helmet from the Nolan group, developed in three outer shell sizes. This design represents the culmination of years of experience in the top levels of motorcycle racing competitions. 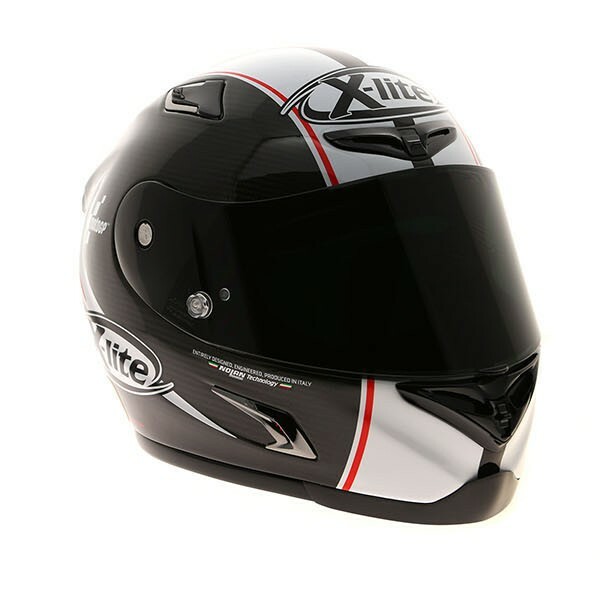 Each component (shell, visor, Racing Experience comfort, Racing Air Flow/ RAF ventilation system) is the result of innovative development, aimed at providing a product with constant quality and perfect performance. 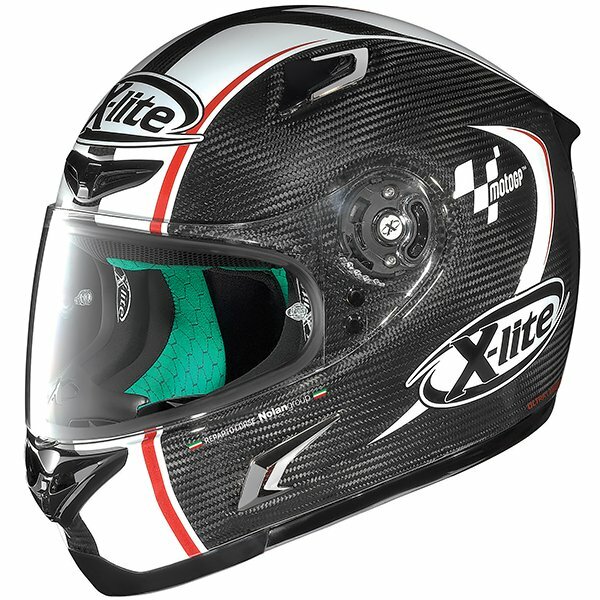 Each component was developed using experimental testing schemes within the MotoGP and SBK World Championships: Casey Stoner, Jorge Lorenzo, Carlos Checa, Marco Melandri, Danny Kent and other riders sponsored by the Company tested and experimented many of the innovative technical solutions found on this helmet which is available for serious and demanding riders. Excellent comfort thanks to the new removable and washable inner padding (Carbon Fitting), made from activated carbon fibres. The activated carbon is temperature-regulating (it encourages sweat evaporation while maintaining a constant temperature), anti static (helps to control static electricity), bacteriostatic (it respects the skin and protects it from pollutants) and is 100% natural. The X-802RR is equipped with a DD-ring retention system. Available in XS-2XL across three shell sizes. All models come with Pinlock included. SHELL SIZES - 3 shell sizes across the size to ensure minimal neck fatigue. 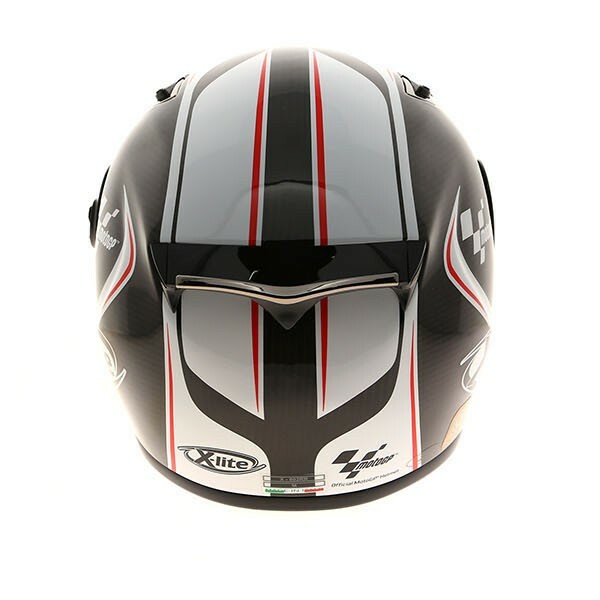 SHELL CONSTRUCTION - Fibres such as carbon, Kevlar and glass guarantee a high performing helmet and keep weight to a minimum. INTERIORS - Fully removable and washable interior constructed from activated carbon fibre with an antibacterial treatment. VISOR - Quick release, scratch resistant, Pinlock ready wide visor allowing quick removal and replacement with maximum peripheral vision. RETENTION SYSTEM - Deemed as the safest retention system, this helmet uses a double D ring strap. The benefit of the double D ring strap is that it ensures correct strap tension at all times and cannot be inadvertently released. 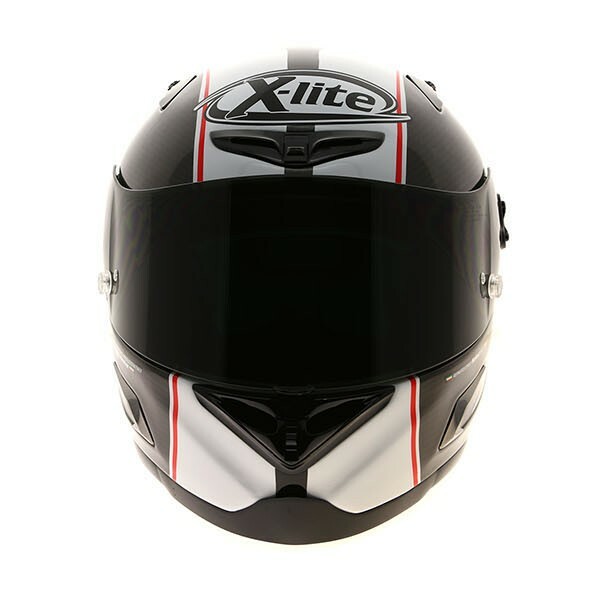 ACCESSORIES - Supplied with a clip-in breath deflector to force the air from your breath downwards and a chin curtain to reduce the amount of wind entering the helmet.